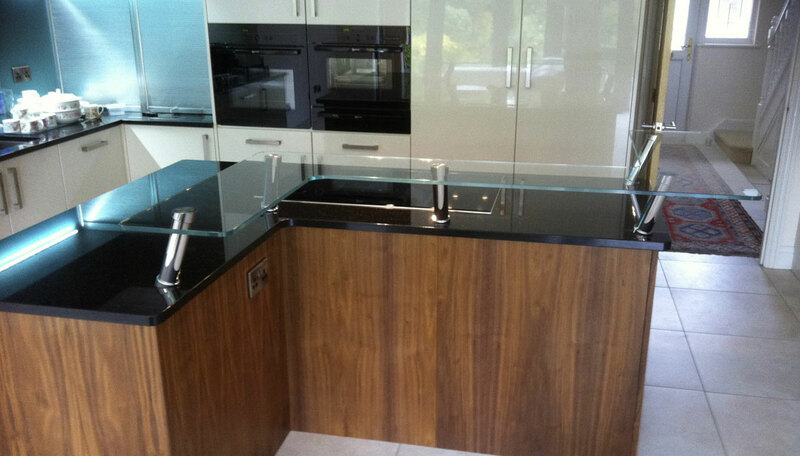 Add a new look to your existing workspace with a glass breakfast bar, or incorporate it into a new kitchen design, the effect can be sensational. 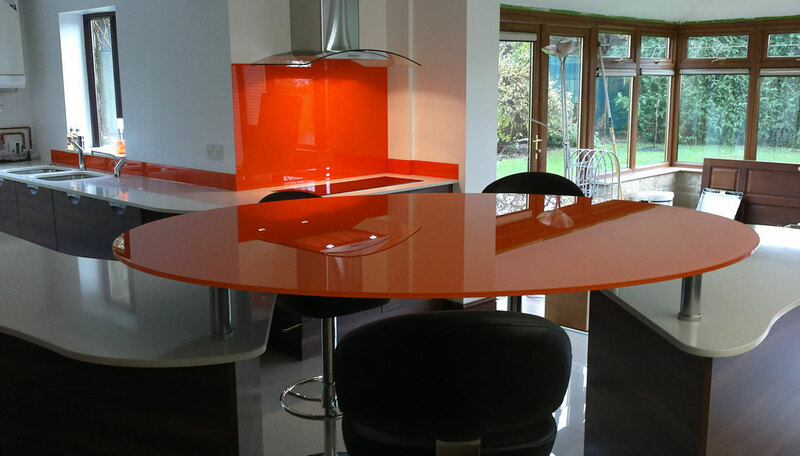 Using a variety of different support legs, glass thicknesses, and finishes the result can transform your home. 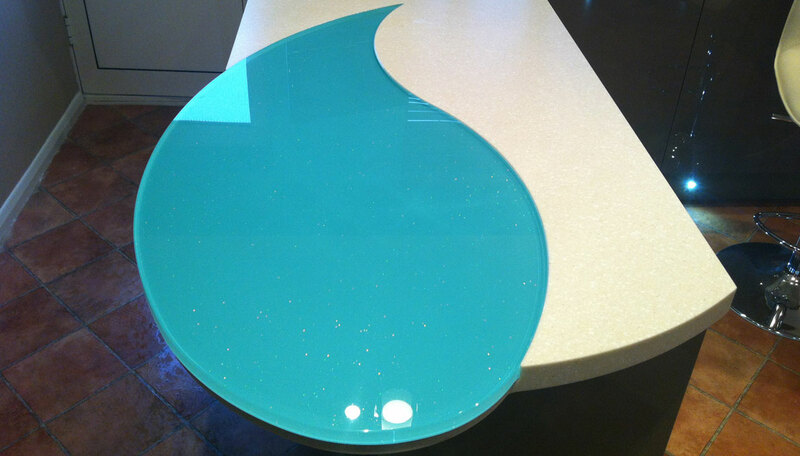 The glass can be spray painted, clear or tinted, the choice is yours. Just leave us to design, manufacture, and install. 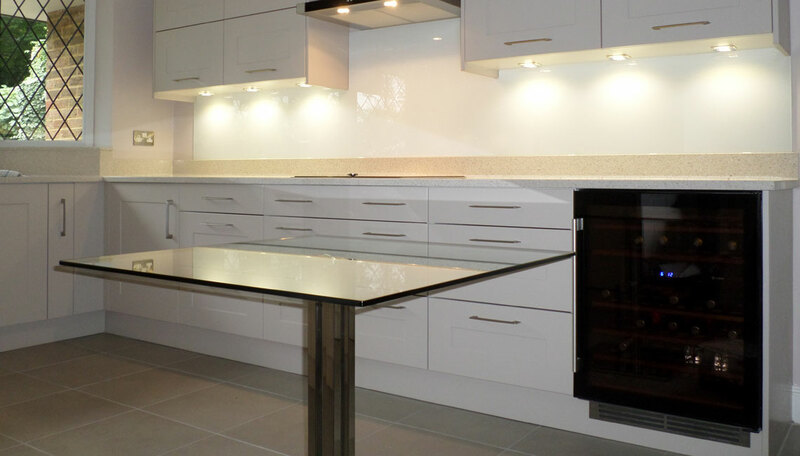 Glass Breakfast Bars from Southern Counties Glass can be produced to any size and shape. 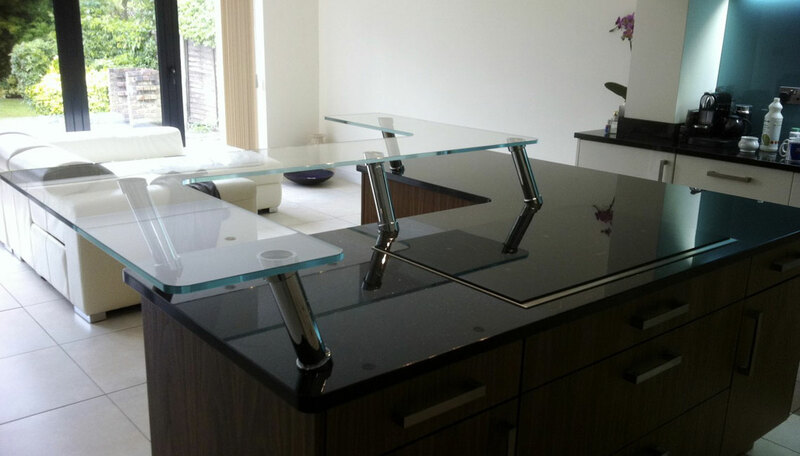 The glass is UV bonded onto your choice of support leg, and fixed to your worktop giving you an additional space within your kitchen. Send us the details of your requirements for free advice and quotation.